Unless you’re super rich, you’ve probably never heard of Savant. The home automation company brags about catering to “the one percent of the one percent.” But now that the internet of things is all the rage, Savant is offering a slick smart home system for the everyman. Savant’s new home automation system is wonderfully simple. It’s a hub, a touchscreen remote, and a lamp control device, all of which communicate over wifi. (The remote works via Bluetooth so there’s no need to point it in any specific direction.) As you might’ve guessed, the remote serves as a physical interface not only for your TV and entertainment system but also for whatever’s plugged into the lamp control devices—namely lamps. 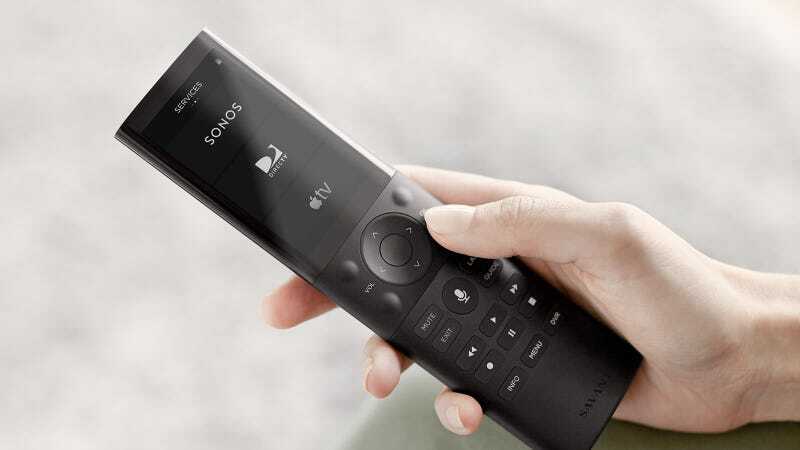 Like pretty much every set top box, the remote also allows for voice control. There’s also a mobile app that gives you the same controls as the remote. What makes the system shine, however, is the ability to create so-called Scenes. Let’s say you want to streamline movie night by programming a Scene that will dim the lights, turn on the television, and fire up Apple TV all with the press of a button or the command “Movie Night.” You can do just that with Savant. Ironically, Savant’s home automation capabilities are somewhat limited to entertainment and lighting. The system works with some 380,000 entertainment devices, including Sonos, Roku, and pretty much any modern television. The company plans to add more compatible devices, like shades, connected light bulbs, and locks. Does all that experience working with the rich mean that Savant’s universal remote control will be claimed “the best?” It looked pretty slick in a recent demo. However, not until we’ve spent more time with the system will we know if it lives up to that title—and $500 price tag.